China is failing to collect billions in taxes from some of its wealthiest citizens, hampering efforts to tackle a widening gap between rich and poor. Beijing's tax collectors have been vexed by wealthy residents who are able to launder money and move it abroad through casinos, fine art buys and fake trade invoices -- practices that result in lost tax revenue. Closing the gap between the urban rich and the hundreds of millions of poor citizens is a priority for Beijing. Last year, the government announced plans to hike the minimum wage in many parts of the country and limit salaries at state-owned enterprises. The Communist Party is also considering higher property taxes as well as an inheritance tax -- measures that could increase the tax burden on the wealthy and raise funds for government social programs. But policymakers face resistance to new taxes, and regulators lack the investigative muscle to make sure the rich are paying their fair share. Beijing has said it wants to beef up tax enforcement. Experts say the country's system is porous -- and it's just about impossible to know how much revenue is lost. Chinese residents are supposed to pay tax on everything they earn, regardless of where it's earned and where they're living. The tax system is extremely progressive -- which means the rich are expected to pay a larger share of their income in taxes than the poor. 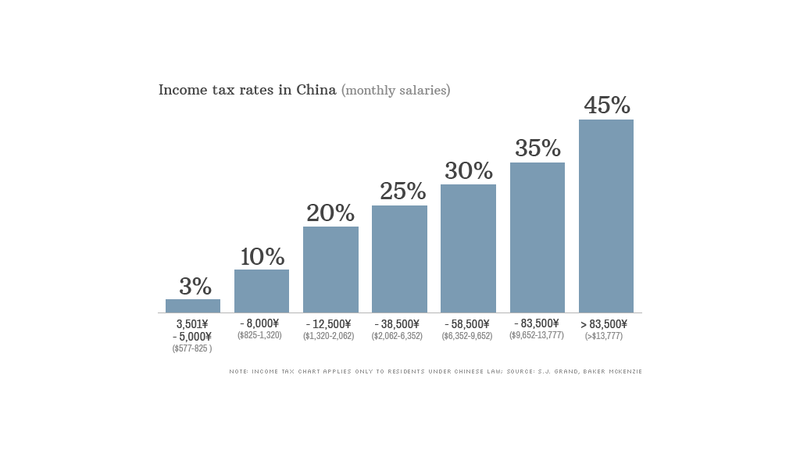 Tax rates start at 3% for low wages and top out at 45% on salaries above 83,500 yuan ($13,777) a month. But analysts say the government isn't yet sophisticated enough to bring tax evaders to book. The decision to pursue cheats can also be politically fraught. "I don't know that there is a political will to ... go after high net worth individuals, except in very selected cases," said Brendan Kelly, a partner at Baker McKenzie who specializes in Chinese taxes. "Ultimately, the authorities have limited resources and they have to decide who they're going to focus on." In recent years, China has sought to improve compliance by targeting companies -- which are required by law to withhold tax on salaries and pass it on to Beijing. Large, multinational firms are often the subject of these investigations as they're considered more likely to keep better records than domestic firms. 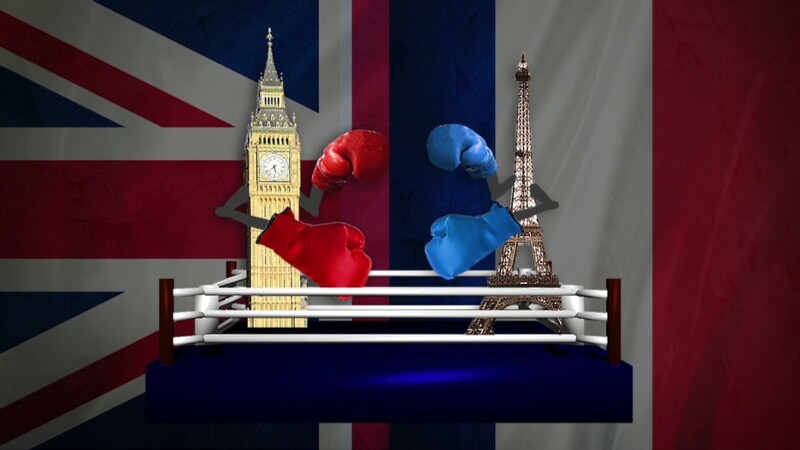 Foreign firms may also be less inclined to squabble with the tax authorities. "They're going to go after the company as a withholding agent, and use that as a net to catch all the fish," Kelly said. "You get the biggest bang for your buck." But the problem with focusing on companies is that the government is failing to catch high earners who make money by other means. A number of forms of personal income -- including stocks, property and royalties -- are taxed at a maximum rate of 20%. Those earnings can be extra difficult to track, even though residents with more than 120,000 yuan ($19,800) in annual income are required to file a tax return. The government may also be missing out on wealth moved offshore. An astonishing $1.08 trillion in illicit capital left China from 2002 to 2011, according to U.S. advocacy group Global Financial Integrity. In some cases, legally acquired money is moved abroad by wealthy Chinese to finance education or property purchases. In others, the funds are the proceeds of corruption. "The poor schmuck employees on the assembly line are having tax deducted, and it's being paid to the government," said Steve Dickinson, a China-based lawyer at Harris & Moure. "But the rich guys who make a lot of money -- they resist paying income tax, and I don't know what the government does about it."